12" x 12" 14" x 14" 16" x 16" (Most Popular) 18" x 18" 20" x 20" 22" x 22" 24" x 24" 26" x 26" 28" x 28" 30" x 30"
Our custom throw pillow with button provides plush style for your interior decorating project. Choose from our collection of hundreds of fabrics or send in your own fabric (COM). 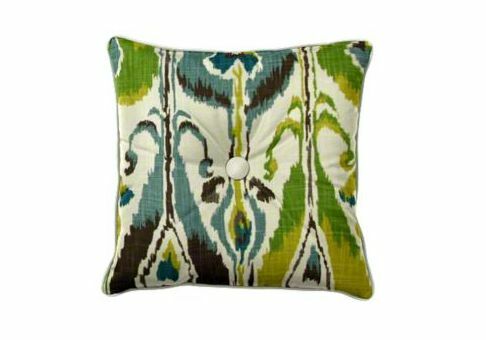 This designer pillow comes with piping and a fabric-covered center button on both sides. If you prefer to use decorative buttons instead of the standard fabric-covered buttons, you may opt to send in your own shank buttons (COM). 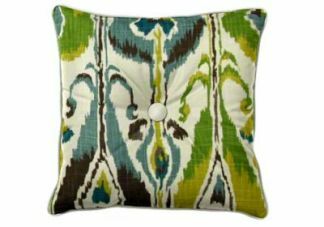 This decorative throw pillow can be filled with a poly bun or feather fill. 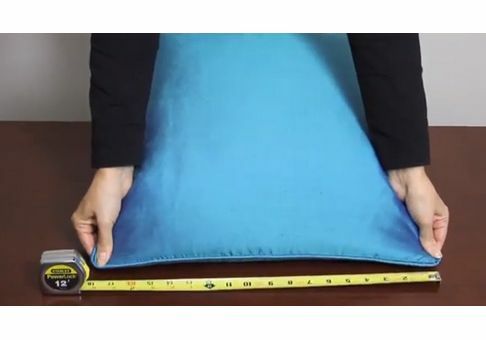 These custom pillows are available in 10 sizes, from 12 to 30 inches square. 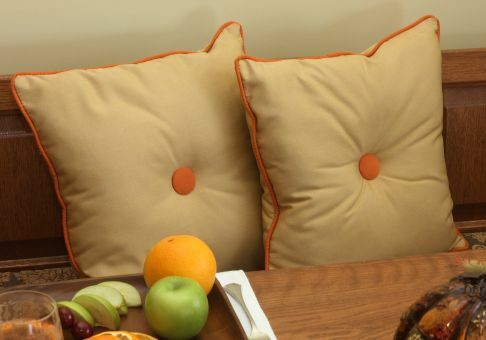 Please send two shanked buttons per pillow, one for the front and one for the back. A shanked button is a molded piece attached to the back of a button where the thread is pulled through. Buttons with shanks have no holes in the button blank (the main part of the button). This is common construction for glass and older style buttons and perfect for use on this custom pillow.